I may have mentioned once or twice that I have four sons (two of whom are growing teenage boys). And a husband who stands 6’8. So buffet-style restaurants can be a lifesaver when we go out to eat – the boys can eat their fill and we don’t go broke trying to make sure no one leaves hungry. Believe it or not, though, I think the baby just might eat the most – which is kind of funny, since he’s the one who’s still young enough to eat for free! If you live near a Ryan’s, HomeTown Buffet, or Old Country Buffet (and chances are you do, since they have over 300 restaurants in 35 states throughout the country), you can save even MORE money when you go out to eat with their Big Book of Savings! (You can click here to find the nearest location to you). This coupon booklet has over $75 worth of savings – it contains 25 coupons with discounts on breakfast, lunch and dinner, featuring BOGOs, “Two Can Dine” offers, specially discounted meal pricing, and more! Coupons may be redeemed at any of the 324 family restaurants and are valid through November 26, 2014. You can purchase the Big Book of Savings for $10 at any of their restaurants – or for just $5 if you’re a senior guest (age 60 or above). And senior guests can use the coupons in addition to the already discounted senior pricing! The offers can’t be combined, but guests can purchase an unlimited number of books while supplies last. If you’d like more information about the Big Book of Savings, you can visit www.Ryans.com, www.HomeTownBuffet.com, or www.OldCountryBuffet.com – and while you’re there, make sure you sign up for Crave Connection and/or the Birthday Kids Club to receive free exclusive offers, discounts and advance notice on promotions. Members also receive a free meal on their birthdays! Make sure to visit them on Facebook, too! FOUR lucky Dividing by Zero readers are each going to receive The Big Book of Savings coupon booklets! Keep in mind that these coupons are only valid through November 26, 2014 – so if you have one of these restaurants near you and would like to win a coupon booklet with $75 worth of savings, just enter below! 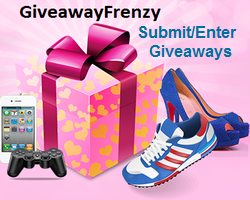 This giveaway is open to residents of the continental US and ends on October 17, 2014 at 11:59pm EST. This entry was posted in Deals & Freebies, Giveaways and tagged Deals, Food, Giveaway by Tara.Bookmark the permalink. We love Hometown Buffet, especially the fried chicken and carrot cake! I enjoy eating at Buffets, I haven’t been to Hometown buffet in quite awhile. Look forward to going soon. There was a Bishop’s Restaurant where I grew up, and it was such an old-fashioned buffet treat. My grandmother took me pretty often, and we had fun there. My guy loves buffets, and I have a friend who’s a ridiculous pig-out partner. I’d take him. We love Old Country Buffet. Something for everyone. This would save me money when I treat some of my clients for lunch! These coupons would make the meals incredible values! Old Country Buffet is my kids’ favorite restaurant! Leave a relevant comment on this post! It has been a long time since I have been to a buffet but I would love to go back and eat at one!